So, how do you differentiate an ice melter? You add value. When you're selling a commodity, separating a product from its competitors can be a real challenge. Ice melters are certainly no exception. There are the benefits of the various blend components, special coloring, convenience factors and packaging. 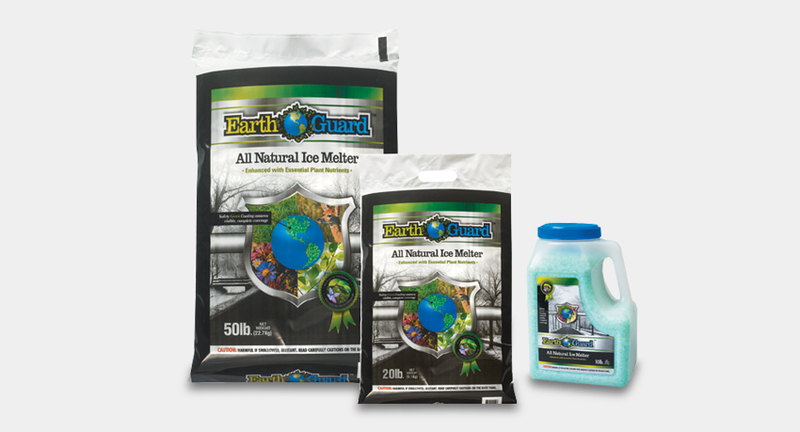 Years ago, most ice melters were sold in really ugly bags…yeah, you've seen 'em. 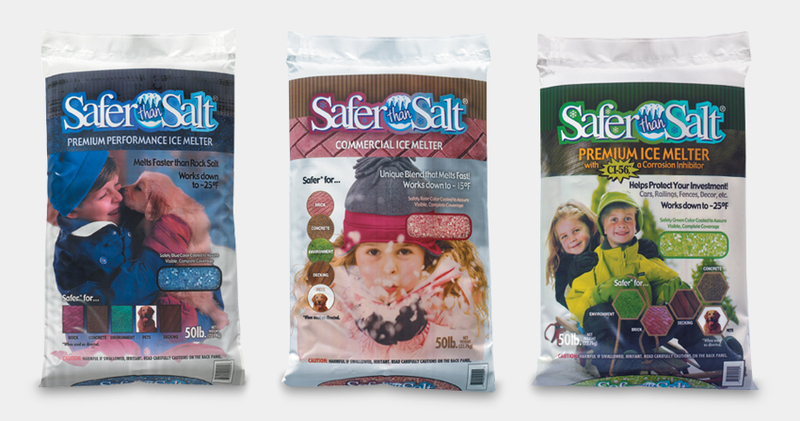 When our warm, fuzzy Safer than Salt packaging hit the shelves, it changed the game – and the industry – forever. 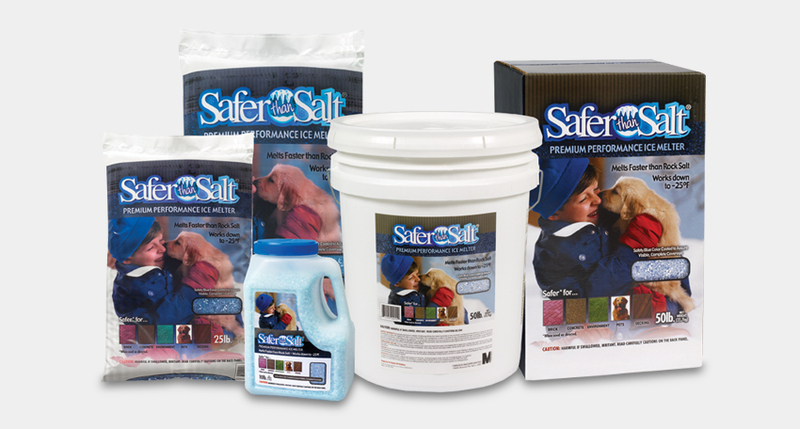 Safer than Salt, as well as many of our other packaged ice melt blends, can be found at Bed, Bath & Beyond, Ace Hardware, True Value and numerous other retail and commercial outlets.